Step outside in the early dawn. In anticipation of breakfast, then a morning run. Their collars ring against the silver bowls. Their meal done, their fun begins. Taunt the dogs and make them bark. 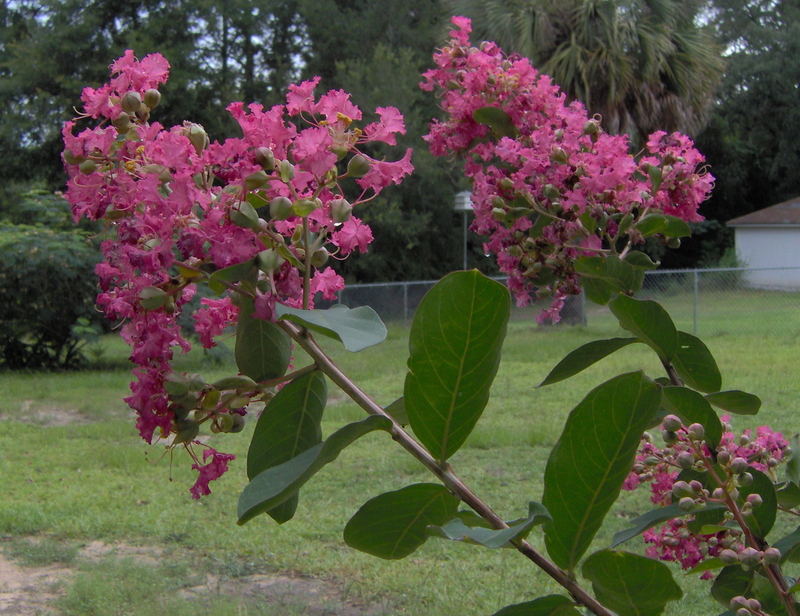 Crepe Myrtle in bloom, red tipped branches. Wet grass soaks shoes and socks.